Woven into the fabric of Denver’s Historic Cheesman Park neighborhood, the residence at 910 Gaylord Street, is a home rich with old and new-world charm. Presented by Jeff Hendley, of LIV Sotheby’s International Realty, this stately Tudor embodies an architecturally significant design in one of Denver’s most appealing locations- adjacent to the Denver Botanic Gardens. 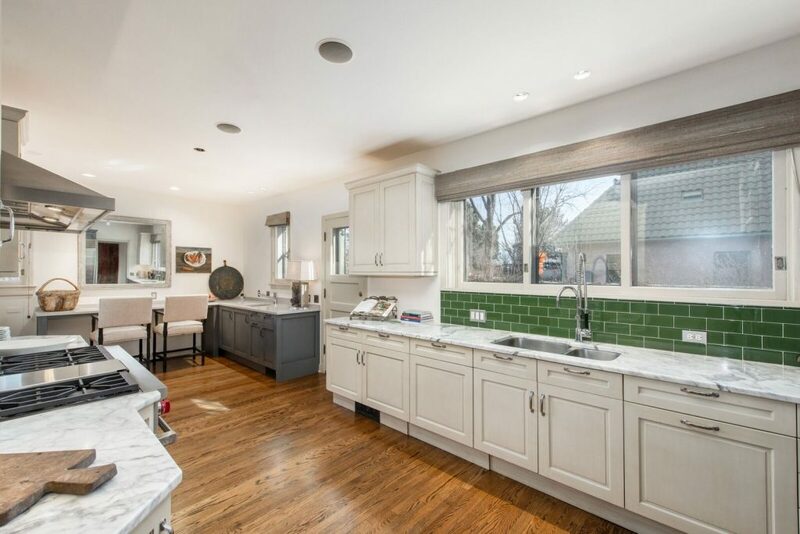 Located on an idyllic, tree-lined street, this architecturally detailed home, recently underwent a large-scale renovation, skillfully uniting the residence’s original 1920’s elegance with current-day amenities and modern conveniences. In efforts to highlight the home’s livability, while also blending in some authentic, turn-of-the-century furnishings and artwork, Hendley consulted with luxury, home staging design specialist, Susan Weiss, of Bailey Interiors, to implement the design portion of the home’s re-brand. Together, Hendley and Weiss incorporated imported antiques and artwork from numerous parts of the world, as well as spectacular accessories, including European rugs and all-new light fixtures, provided by Emerson Bailey Collection, to add unparalleled grace and style into the home. “After two months of myself and Jeff orchestrating a total re-brand of the property, with a focus, largely on interior design, I am happy to say that this home has re-emerged with the warmth, functionality and brilliant ambiance- that so many families yearn for,” said Weiss. Referred to by locals as, “The Green House” the residence sits atop one-half acre of prime real estate in the Morgan’s Historic District of Cheesman Park. Designed by famed architect, Jacques Benedict, in 1922 for Dr. James J Waring and Ruth Porter Waring, the home was designated a landmark by the Denver Landmark Preservation Commission and stands out as one of the most stunning architectural masterpieces in Denver. 910 Gaylord Street features an elegant exterior, functional floor plan, luxurious finishes, six bedrooms, and six bathrooms. “This residence is an icon in Denver and always will be. The improvements made through remodeling and interior design is a testament to the passion of those who see historic preservation as a cultural responsibility”. For more information on 910 Gaylord Street, contact LIV Sotheby’s International Realty broker, Jeff Hendley, at 303.877.6767, or visit www.JeffHendley.com. To contact Susan Weiss of Bailey Interiors, call 720.800.6268. To list your home for sale with LIV Sotheby’s International Realty, please visit www.livsothebysrealty.com or call 303.893.3200.